Since the Pewter City Gym is the first Pokemon Gym your trainer will challenge in their journey of the Kanto Region, it won't be all that difficult to defeat. 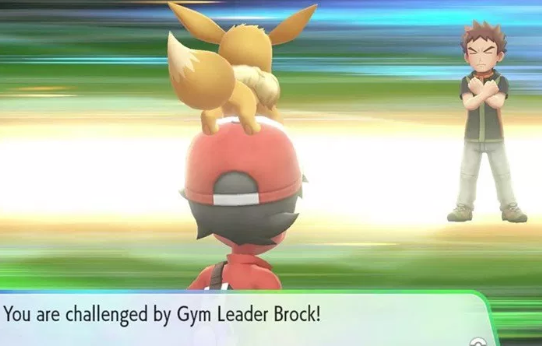 All of the trainers within it will have lower level Pokemon, including Gym Leader Brock himself, and all of them will own nothing but Rock Type Pokemon. And since you are required to have at least one Grass Type or Water Type Pokemon in your Party in order to face the Pewter City Gym - the same type of Pokemon that Rock Types are weak against - defeating this Gym will be all the more simple. There aren't too many Water Type Pokemon, if any at all, found this early in the game, so you will need to find a Grass Type Pokemon before you can face the Pewter City Gym. Luckily, Bellsprout, a pure Grass Type Pokemon, is pretty common in Viridian Forest, which you must pass through on your way to Pewter City. Bulbasaur, another Grass Type, can also be found in Viridian Forest, but it's a Special Spawn and is far more uncommon than Bellsprout because of this. With either of these Pokemon, if leveled properly, you should find defeating the Pewter City Gym to be a breeze.